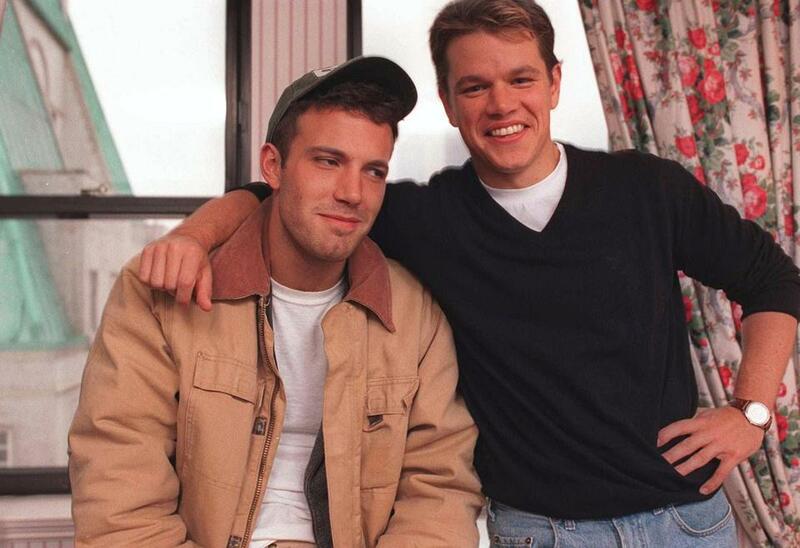 Actors Ben Affleck, then 25 (left), and Matt Damon, then 27, during an interview in New York in November 1997. There’s been a lot of ink spilled about the 20th anniversary of “Good Will Hunting,” the film that earned Ben Affleck and Matt Damon an Oscar for best original screenplay and jump-started the dynamic duo’s careers in Hollywood. In the wake of the Weinstein exposes in The New York Times and The New Yorker, some questioned what Affleck and Damon knew about the mogul’s behavior. Both actors have said they viewed Weinstein as a scoundrel and a bully, but they didn’t know the extent of his misconduct. Affleck has since said he’s donating residuals from the movies he made for Weinstein’s company — “Chasing Amy,” “Good Will Hunting,” and “Shakespeare in Love” — to charity. In the same interview, Affleck sounds unsure about his future as Batman — either in front of or behind the camera. The actor, who spent a portion of 2017 dealing with his addiction to alcohol, said he’s currently in a “good place” and focused on his children.